I've got a few things brewing over here, including an event that's taking Quinn and me to New York City next week (more on that to come) and the fact that I sent my completed manuscript to my agent last week (!!!) 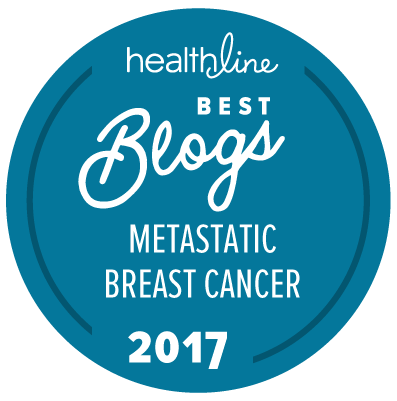 I'm excited to share all of this with you guys as it unfolds, and I hope with every ounce of my being that what I'm doing -- all of it -- is of service to the metastatic breast cancer community. As part of one of these initiatives, I was on the phone the other day with a woman who's working on a story about living with metastatic breast cancer for October, that loaded month, and she asked me whether I felt there had been enough resources and support services when I was first diagnosed. Um, NO, is the quick answer. But it got me thinking that I should write about the resources that have emerged and what I've found useful, in case it might help someone else out there. Have any to add? Please leave a note in the comments! 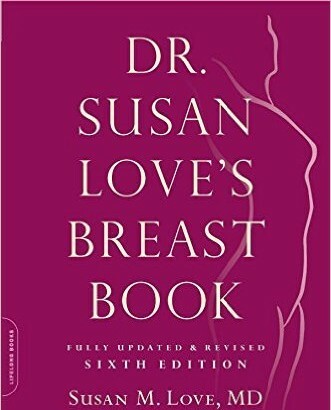 One major source of information was Dr. Susan Love's Breast Book,* which is now in its sixth iteration. I especially appreciate that this new edition includes an updated chapter on metastatic disease that offers some hope for emerging therapies and longevity. This book has been called "the bible for women with breast cancer," with good reason. When I was first diagnosed, I wanted to know as much as possible about the cancer inside of me, without the fear that can be brought on by "Dr. Google." Here was my answer, clearly laid out in the pages of this easy-to-read book. Fully indexed and written for the layperson, Dr. Susan Love's Breast Book takes a comprehensive look at breast cancer prevention, staging, treatments, pathology, and emerging research. In a field where new information is always emerging, this book offers a treasure trove of the latest data. I have a love/hate relationship with support groups, both online and in-person. I love the potential of what they have to offer, but participating in them can be an emotional roller coaster. After all, you get close to people and in many cases, you have to face their worsening health or death. For awhile after my first course of treatment -- and every once in awhile since then -- I need a break to let my emotions recover a bit. When I was first diagnosed, a friend referred me to the Young Survival Coalition's Facebook support group. At the time, it was both a treasure trove of other women who were going through the same treatments as I was and a place where I didn't feel I completely fit in because there weren't many women with metastatic disease (fortunately). In the last four-plus years, I think YSC has done more to support metsters, but other groups targeted at young women with Stage 4 breast cancer have also emerged on social media. If you want to be added, find/message me on Facebook (link from the button on my blog). Note that there are fairly strict privacy rules on these boards. Speaking of social media, you may have heard me mention the Twitter chat with the hashtag #bcsm. This takes place on Monday nights at 6 PM Pacific / 9 EST. Topics range from the invisible scars of breast cancer to parenting with cancer to how to change the conversation around metastatic breast cancer. The chat is for all stages and ages, but is an excellent way to share information and find support. Cleaning for a Reason: "Our mission is to give the gift of free house cleaning for women undergoing treatment for any type of cancer. Our goal is to let these brave and strong women focus on their health and treatment while we focus on, and take away the worry and work of, cleaning their homes– free of charge." I reached out to this service early on in my treatment and they didn't have any partnered cleaning companies in Phoenix/Scottsdale, but they may be worth a try in your area. Look Good/Feel Better: Because sometimes a little blush does make it easier to face the day. Little Pink Houses of Hope: Offering family beach vacations/retreats for people directly affected by breast cancer. First Descents: If you're feeling adventurous, First Descents offers surfing, rock climbing, white water rafting, and ice climbing (!!) trips for cancer survivors. Other national organizations offer links to local support services. For example, the American Cancer Society has a location-specific searchable database for everything from free wigs to counseling/therapy. 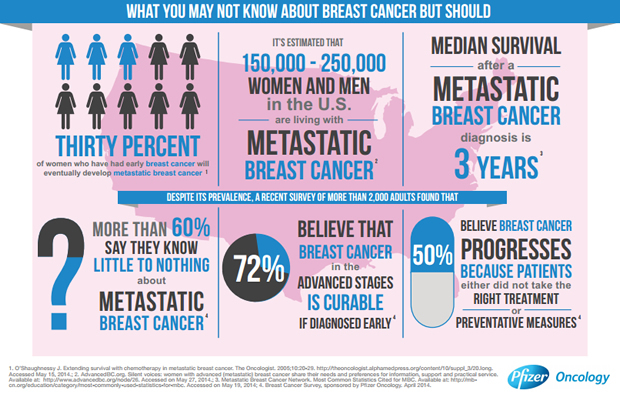 Living Beyond Breast Cancer is another excellent source of information, including a search function for clinical trials specific to metastatic breast cancer. Finally, I have heard excellent things about the Livestrong Foundation's fertility services, for those of us who've lost ours to cancer and/or cancer treatments. What resources do you wish there were more of? What have you found especially useful? What have I left off this list?? And PLEASE let me know if you've gone on a surfing trip and/or family retreat -- I'd love to hear how that went! * Dr. Love recently provided me with a free copy of this 6th edition, but I already had the 4th edition on my bookshelf. All opinions on the book are my own. ** One of my best friends works for Genentech, but I have not talked to her (or the company) about this post. This is a great list of resources -- thank you for putting it together. I am part of the YSC and my initial support came from the ASC (I still connect with those women and continue to see them yearly). One thing you mentioned about support groups, how you have a love/hate relationship with them, I can understand. I've connected with some women who are no longer here and it has been difficult for me to cope with that. At the same time, I can't walk away. I do take some breaks from time to time but eventually come back to check up on my ladies (and men!). I wish they were more resources for couples and caregivers. Insurance companies often refuse to cover the cost for couple therapy and it's hard to find organizations that can provide those services. Caregivers need support too as they often have no one to reach out to. We, the patients, can lean on them but who do they lean on? They need support too. Thanks for always sharing helpful tips and resources. Yes on the couples/caregivers thing! My husband and I have had to pay out-of-pocket for counseling here and there because there is some stuff that is just over our heads! Great list of resources! I look forward to meeting/seeing you in New York (I heard we are both going to the same thing :D). So sorry we missed each other! Many thanks to you Jen! One resource that I found extremely important for me as I was alone physically the majority of my fight and without financial means was an online donation account a friend started up for me! Little or large, it didn't matter, people who knew of my situation that wanted to help but weren't around physically could donate money! I can't even imagine what I would have done without that now as I had just the week prior to my diagnosis had unfortunately lost my job! I don't recall the name of the site however know there are several available that are also super easy to navigate etc! Hope this is benifitial for someone else! Good call -- thanks for adding that suggestion here! I can't think of any of the sites, either, but I know there are a number of them. Agreed, an ex-student did the same for me and it really helped! Support groups helped me, it was refreshing to be in a room full of women who understood me and could give me advise. I could loose it in front of them and they totally got it!